The Plachimada case can set a precedent for compensation claims for pollution victims. Is that the only reason the Union government is trying to subvert the process? When a piece of legislation—unanimously passed by the Kerala Assembly and sent to the then Congress government for presidential assent—is held up in the home ministry for four years, it represents a subversion of the Constitutional process raising worrying questions. Was the hold-up on behalf of a recalcitrant multinational corporation, which was once thrown out of the country? Now the BJP regime is working even more vigorously to subvert this process. The home ministry recently sent a letter to the Kerala government “requesting” it to withdraw the piece of legislation, an act even the Congress government had not dared to. The environmental and social devastation of the Plachimada area in Palakkad district of Kerala had forced the state government to set up a High Power Committee (HPC) in May 2009 comprising 13 experts. It was chaired by the additional chief secretary, and its nine months of work resulted in an exhaustive report, scientifically establishing with robust evidence the devastation caused by the operation of the plant established by the Coca-Cola company in the area. The Plachimada Coca-Cola Victims Compensation Claims Tribunal Bill was unanimously passed in the Kerala Assembly on February 24, 2011, following the submission of the report of the HPC, to establish a tribunal to adjudicate claims of compensation from the multinational company by the victims of Plachimada. On a conservative estimate, the HPC estimated the cost of damages at Plachimada at a minimum of `216.26 crore. What has happened to the bill thereafter provides a textbook case of how powerful multinational companies, with the backing of their home governments, subvert the statutory procedures in developing countries. The Kerala governor sent the bill for presidential assent through the Union home ministry a month later. Although there was no issue of repugnance with any of the Central laws, it was sent for presidential assent to obviate any future argument of repugnance in a court of law. The home ministry forwarded the bill to various ministries for comments, and five ministries submitted their categorical approval for the bill. These are the ministries of agriculture, rural development, water resources, food processing industries and the department of justice under the ministry of law. Beyond categorical approval, some ministries, in fact, suggested stronger measures than recommended in the bill. Yet, it is shocking that the bill was not passed on to the President by the Congress government at the Centre. The then home minister P Chidambaram was particularly keen on subverting the legislation, and his successor, S K Shinde worked under his guidance. The home ministry then advised the state government—in line with the multinational’s “legal opinion”—to approach the National Green Tribunal (NGT). This underlines the fact that the home ministry officials have overlooked the National Green Tribunal Act, 2010. Section 15.3 of the Act requires the petitions for compensation to be filed within a period of five years, with a grace period of six months. 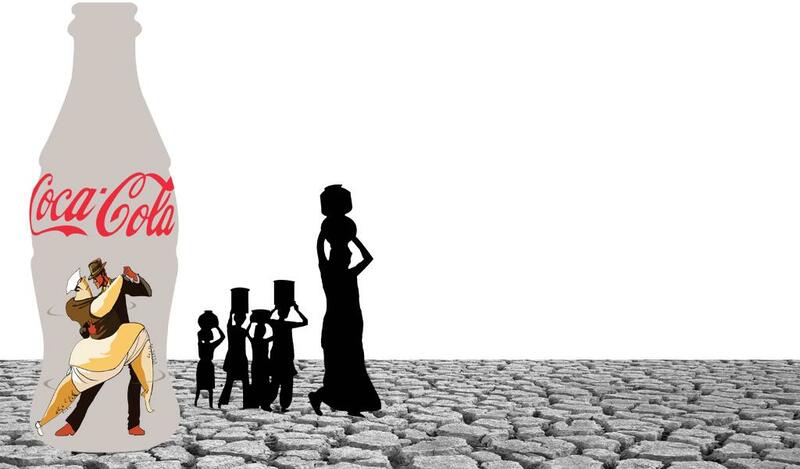 The most critical damages, toxic contamination of groundwater and soil caused by the Coca-Cola company at Plachimada, occurred during 2000-2004, way before the time limit stipulated in the Act. Therefore, this Act cannot be used to redress the tragedy at Plachimada. This is the reason the bill was passed by the Kerala Assembly in the first place. And it may be recalled that the NGT became operational only in May 2011. The cola company’s initial response to the HPC was one of intimidation. They launched a ludicrous misinformation campaign—Coca-Cola CEO Muhtar Kent mislead shareholders in their annual meeting in Atlanta in April 2010 that the Plachimada plant could be reopened any time— while the fact remains that it was closed by an order of the State Pollution Control Board in February 2004 for its failure to install the required facility to treat the toxic sludge, in line with an order issued by the Supreme Court in October 2003. The company has refused to install this facility and also declined to comply with the directions of the Supreme Court Monitoring Committee to provide piped drinking water to the residents of Plachimada. There is no conflict between the NGT Act and the bill, primarily due to the difference in the temporal coverage. In fact, by complying with the time limit, the Plachimada Bill provides an excellent complement to the NGT Act. The Union home ministry seems to be parroting the cola company argument that the state Assembly has no legislative competence to enact legislation to redress the damages in the areas of health, agriculture, labour (loss), animal husbandry and groundwater, ignoring the fact that all of them are in the State List (II under the Seventh Schedule) of the Constitution. The home ministry has no powers to decide on the legislative competence of a state Assembly, that power is vested with the judiciary alone. The Plachimada Bill does not, by any means, conflict with the Centre’s powers with regard to implementation of international treaties as provided by Articles 253 and 246, as the Cola lawyers had vainly sought to argue. It flows from the State’s Constitutional responsibility to act upon the violation of Article 21 and has got nothing to do with any international declaration. Besides fulfilling the State’s obligation in terms of Article 21, as interpreted by the Supreme Court, the bill is also based on the polluter pays principle that has become an integral part of our jurisprudence. The enactment of this law will remain a critical contribution in enforcing a legal regime for the sustainable management of scarce natural resources of the country, as underlined by the Supreme Court judgement in the 2G scam. It is surprising then that while the home ministry’s new letter refers to the responses of the department of legal affairs and the Solicitor General that favour the cola company, it tactically ignores the categorical support to the bill expressed by the ministries concerned. The Plachimada Bill represents a new low in Indian polity, exposing its pathologically illegitimate ways of manoeuvring to protect the interest of multinational companies as opposed to India’s poor. This subversion of the Constitutional process must be challenged by democratic India.